Practitioners of all levels are invited to the Live Training Series in Orlando, Florida throughout the month of March. Each level of training will include an extra bonus day of group activities, out together exploring the world of Avatar. It will be the perfect environment to collectively celebrate your success of achieving QHHT certification advancement. A limited block of rooms have been reserved for our group at the event headquarters, the Rosen Hotels in Orlando, Florida. For QHHT® practitioners who have attended Level 1 and have practiced with a minimum of 25 different people, this supplemental course will focus on strengthening core QHHT® skills. Plus you will have a day of special activities. The QHHT® Level 1 Companion Program is for online graduates and anyone wanting to brush up on their skills. The Level 1 course is a 6-day workshop which will equip you with the knowledge, skills, resources and confidence to practice QHHT®. The course will begin with an introduction to QHHT® and an overview of Past Life Regression and The Subconscious. You will then learn, in great detail, every aspect of Dolores’ QHHT® technique taught by Dolores’ daughter Julia Cannon, using interactive videos of Dolores. Plus you will have a day of special activities. 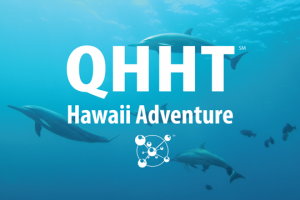 Join us for this one-of-a-kind opportunity to learn my mother Dolores Cannon’s incredible Quantum Healing … Read More about The QHHT Hawaii Adventure Features Dolores Cannon’s QHHT Live Level 1, Level 1 Companion, Level 2 and Level 3 Classes October 31 – November 16, 2018, in Sunny Kona, Hawaii! Dolores Cannon’s QHHT® Live Level 1 Class May 31-June 5, 2018 in the beautiful Ozark Mountain town … Read More about Join Us for the Only Live QHHT Level 1 Course in the Continental USA This Year May 31-June 5, 2018 in Magical Eureka Springs, Arkansas!